Rancho is proud to offer a new 4.5-in. 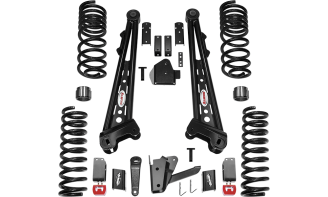 Suspension System for the Ram 2500 4WD Diesel. The 4.5-in. 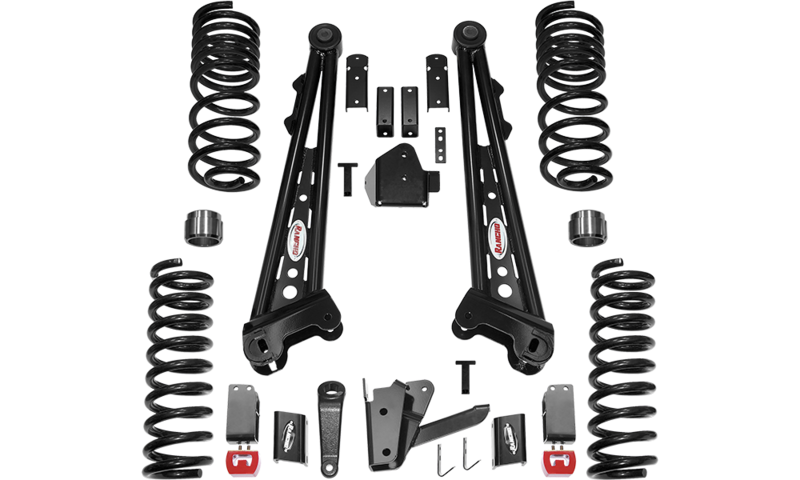 Rancho Suspension Competition Radius Arm Kit for the Ram 2500 features front coil springs, competition style radius arms, trackbar bracket, sway bar relocation brackets, brake line brackets, bump stops and a forged pitman arm. 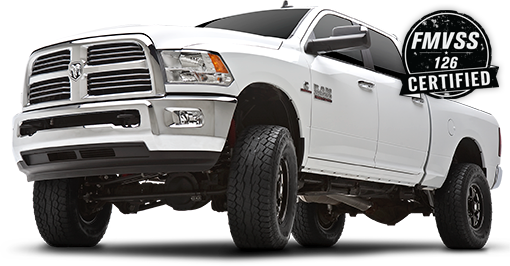 In the rear it features progressive rate coil springs, sway bar drop brackets, rear trackbar bracket, bump stops and rear brake line brackets. The competition style radius arms are longer in length and have adjustment tabs to allow the re-use of factory cam bolts to meet caster specifications. This kit is precision engineered to be 100-percent compatible with the Ram factory electronic stability system, and has been FMVSS126 certified. The kit was designed with 37-in. tires and 20-in. wheels with 5.5-in. of backspacing.